START LINE SERVICES. BIKE & XC SERVICE CENTER. ON LOCATION. 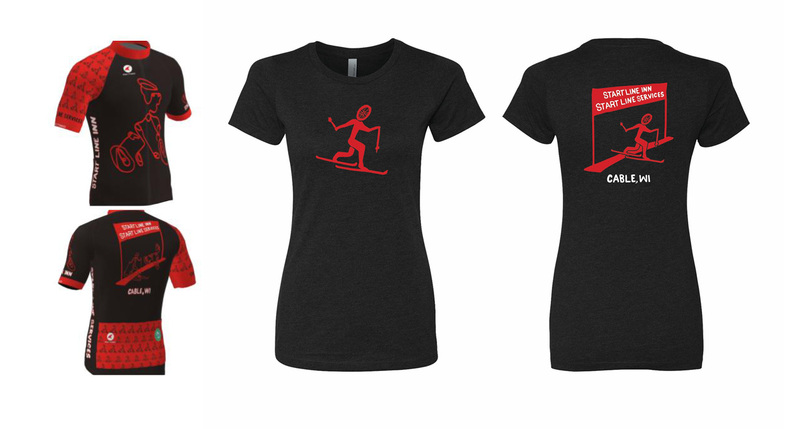 SKI OR BIKE IN/OUT. 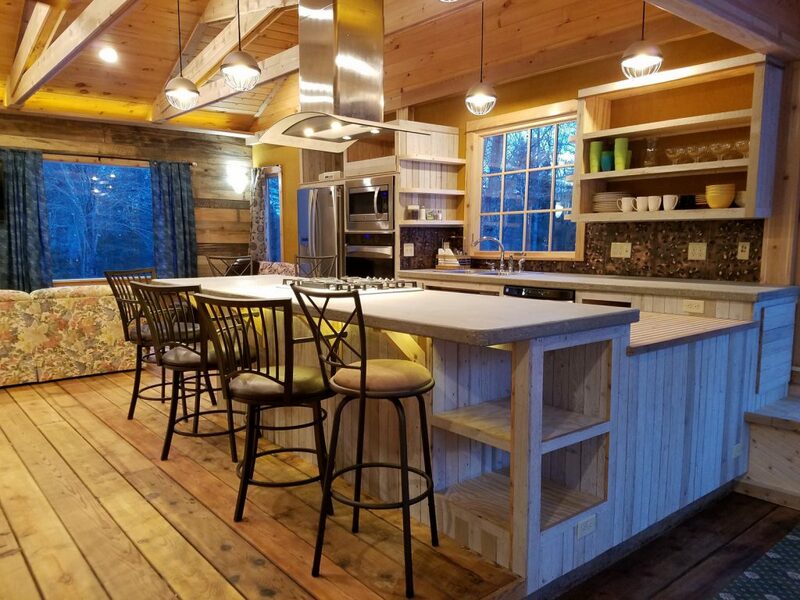 Start Line Inn welcomes you to enjoy 4 Seasons in the Woods in our luxury cabin rental and coach house multi-purpose team room in Cable, Wisconsin. 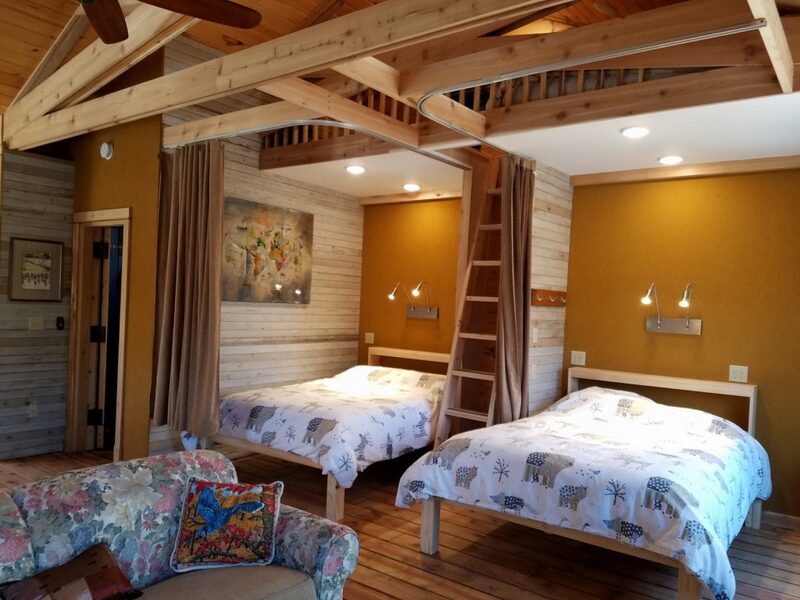 Lodging with Ski in/out and Bike in/out access to Birkie ski trail and CAMBA mountain bike trails. 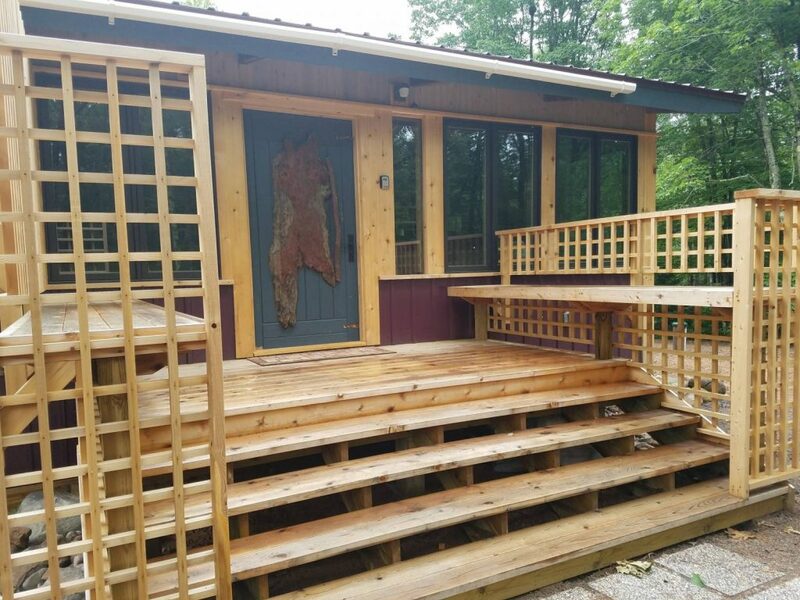 Our cabin rental is a rare gem in Wisconsin’s Northwoods with attention to detail and meticulous craftsmanship. Lodging designed with the needs of active guests and families in mind. The space is open and gracious with high vaulted ceiling and picture windows that overlook the Birkie Trail and forest. 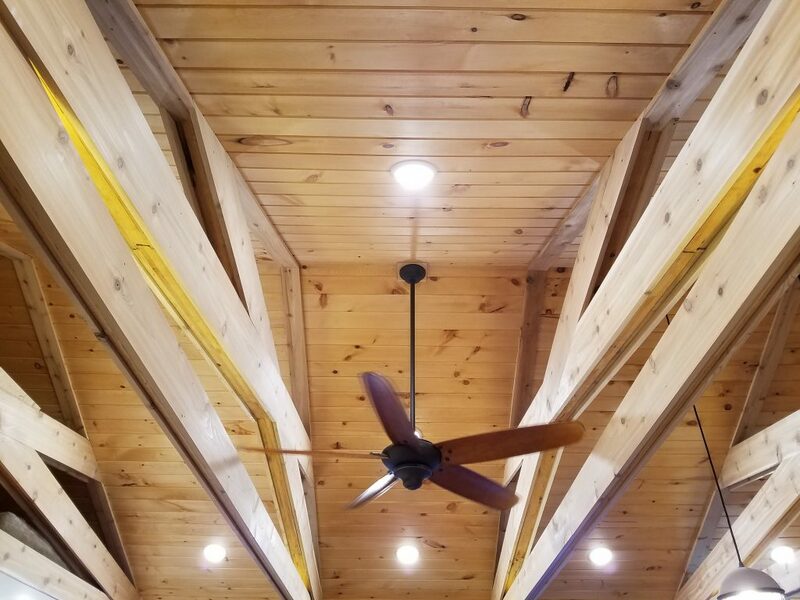 The cabin walls were built using reclaimed wood, helping us stay Green. “The Trails At The Top!” Take A Look at this Discover Wisconsin episode showcasing the trails in the Cable Area! The Start Line Inn is right in the middle of these great trails! 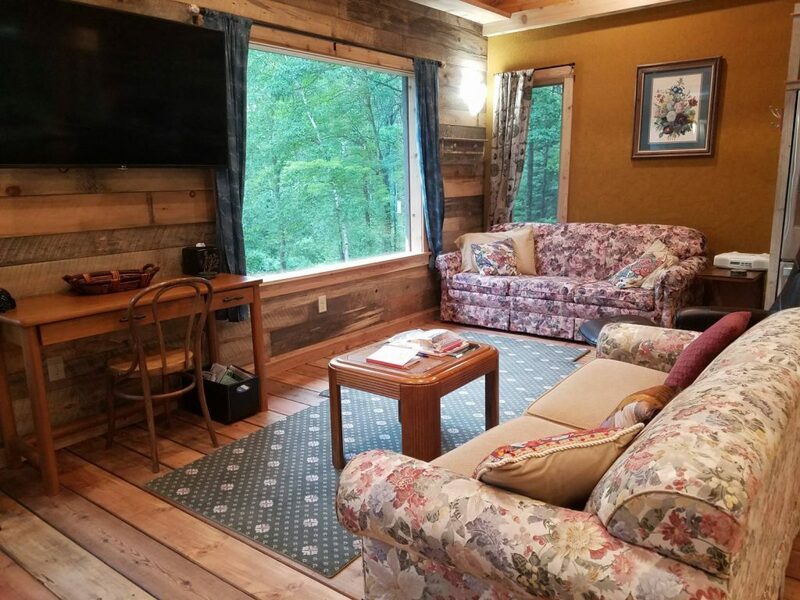 Start Line Inn cabin rental can accommodate 4-8 depending on guest preferences. 2 full beds with privacy curtain, sleeper sofa, loft space and day cot at entry. 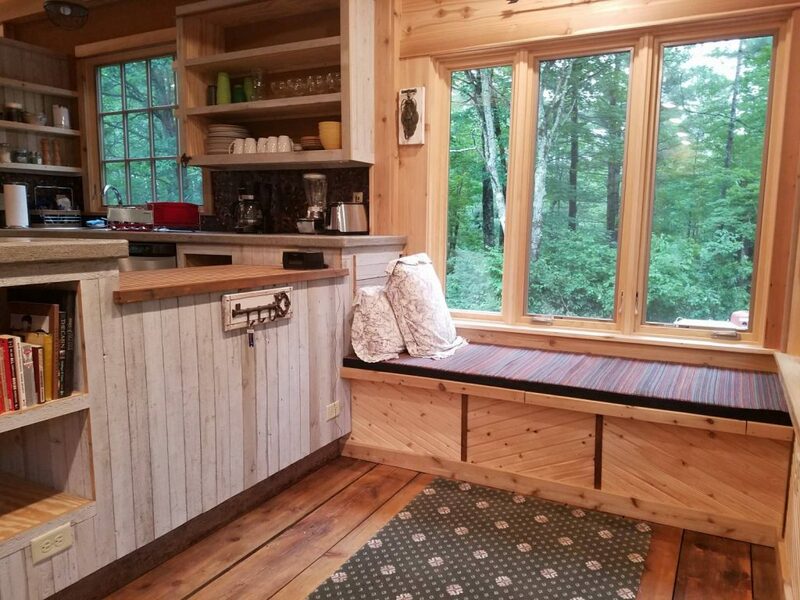 Guests have exclusive use of heated wax hut just out the door with 2 benches, ski and gear storage and Bluetooth radio. The Coach House is spacious multi-purpose space ideal for lodging, sleeping, relaxing or workouts. Not your typical “above garage” room. Beautifully finished with fine craftsmanship. The flexibility of the open space is perfect for merging training and getting a good night’s sleep. Elizabeth Holland & Michael Choate invite you to join us. 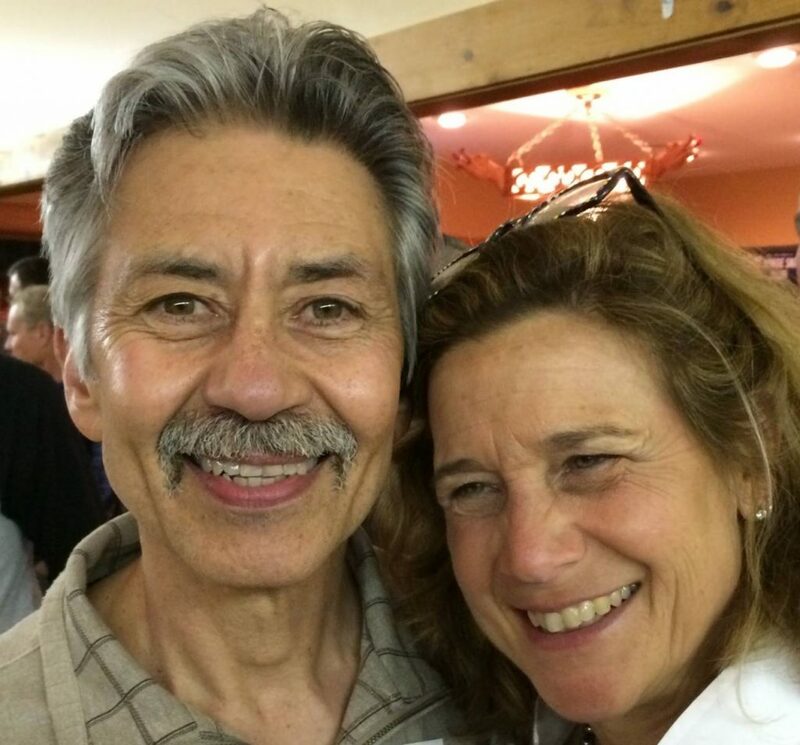 We recently retired and are embracing this new adventure as innkeepers in the North Woods. Michael is a retired Chicago firefighter. Elizabeth is a retired diagnostic radiologist. Michael is a veteran competitive XC ski and bike racer. With 30 + years skiing the Birkie, classic & skate, he is a proud Birchleggings member. Elizabeth is a relative newcomer to these sports & brings a beginners enthusiasm to these endeavors. 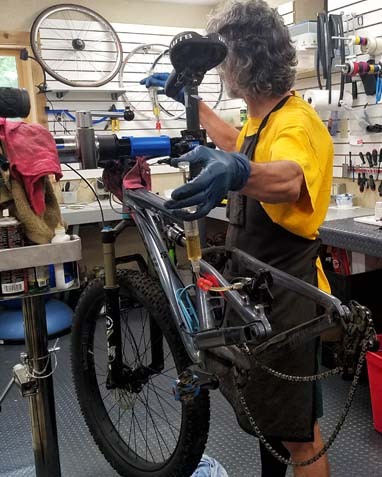 We offer the only bike & ski repair shop in Cable, Wisconsin! Bike & Ski Shop located at the lower level of START LINE INN, the cabin rental. On the Birkie Ski Trail & CAMBA mountain bike trail. Please be our guests, or contact us with any questions!